The HMS Surprise, a replica of an 18th century British ship. 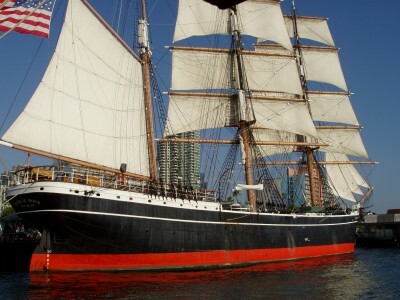 The big attractions, of course, were the Star of India and the HMS Surprise. Naturally, the Star of India was closed when we got there. The Surprise was fun, though. It turns out it was built in the 1970s as a replica of an 18th century British Royal Navy vessel, the HMS Rose. 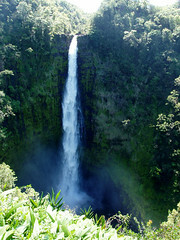 It was sold to 20th Century Fox in 2001 and used to film Master and Commander: The Far Side of the World. 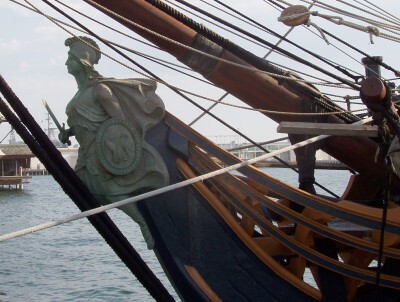 After filming was complete, the museum bought the ship and renamed it the HMS Surprise in honor of the fictional vessel. Ahoy, there, cap’n! Arr, everything be shiny! 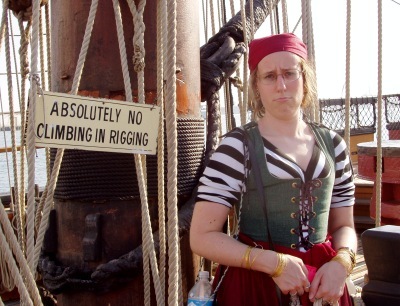 An avid sailor (well, in Puzzle Pirates, anyway), barred from the rigging. Underneath, the Surprise was housing an exhibit on “Pirates of the Pacific.” There were display cases of maps, weapons, plastic figures that looked like they could have been lifted from the Pirates of the Caribbean ride (and for all I know, they were, during the refit), samples of pirates’ ledgers, the difference between a buccaneer and a privateer, etc. 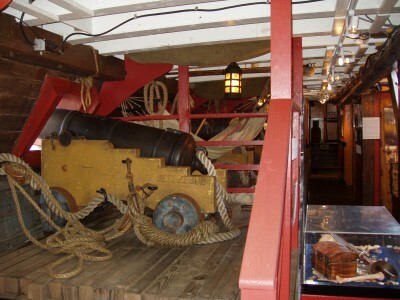 The main deck of the Berkeley was essentially turned into museum space. It housed sea charts from the 1600s to the present day, model ships, instruments used for mapping the sea floor, and so on. 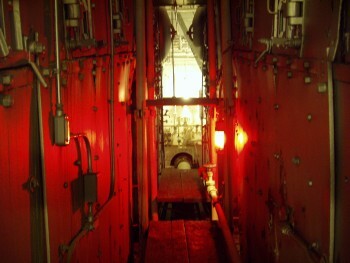 But the engine rooms were left uncluttered, with just a few gates to keep visitors in the main areas. 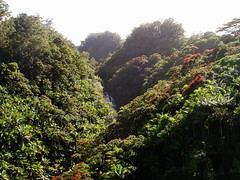 It was stuffy inside, and while San Diego escaped the worst of the heat this weekend, it was still very uncomfortable. I went below decks to look at the engine room, but didn’t stay very long. The Medea didn’t have much visible—just the outside and a couple of cabins. We passed on the submarine entirely, with the heat, cramped quarters onboard, my full backpack, and Katie’s full pirate costume. Update: I’ve posted more photos of this side-trip. 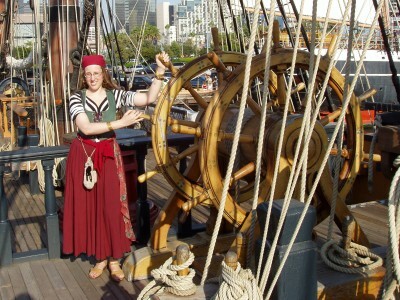 This entry was posted in Conventions, Highlights, Photos, Travel and tagged Comic Con 2006, Long, museum, pirates, San Diego, ships on July 24, 2006 by Kelson.